Ensuring a lasting legacy is the goal for many individuals and families who seek the advice of financial advisors, but most legacy planning strategies fall short in accounting for the complexities of intergenerational wealth planning. Too often, affluent families merely resort to naming family members, and favoured charities as beneficiaries to their estate with little thought towards wealth preservation—or how the assets they have spent a lifetime building will benefit future generations. However, intergenerational legacy planning is a critical aspect of any comprehensive wealth management strategy. Intergenerational legacy planning is, indeed, complex. With the right financial planning tools and the help of a wealth expert, your estate can impact favourably on the lives of your existing generation and those of the future. Come and join us to better understand how wealthy families can avoid the pitfalls of intergenerational wealth management and legacy planning, via unique solutions and structures available both onshore and offshore, whilst ensuring that the estate remains in a well-regulated, compliant jurisdiction that also meets the demands of these families. Marc-André Sola started his first company at the age of 20 and has since founded, or co-founded, a number of businesses in different fields and in multiple countries. Mr. Sola holds a Masters of Law degree from the University of Zurich and serves on the board of various companies. He specializes in insurance and retirement planning, as well as tailored asset protection and estate and tax planning solutions. For over 20 years, he has been advising clients from all over Europe, North & South America, the Middle East, Asia, and Africa. Mr. Sola is a sought after speaker at international investment, asset protection and estate planning conferences worldwide. Furthermore, he has published a variety of professional articles and co-authored the book, The Insured Portfolio, published by John Wiley & Sons (2010). He is a member of YPO (Young Presidents Organization), Zurich Chapter. 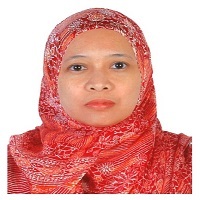 Aderi Adnan is Labuan IBFC Inc’s Business Development Director, specialising in Islamic finance andwealth management. 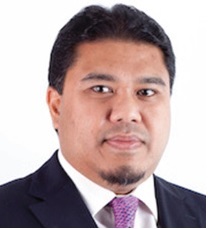 Prior to joining Labuan IBFC Inc, Aderi was the Director of Islamic Finance at theDubai International Financial Centre (DIFC) where he was responsible for its business developmentactivities. He started his career with the Maybank Investment Banking Group, with extensive work experience within the group’s corporate finance and advisory team, private equity and fund management subsidiaries. Aderi is a charter holder of the Chartered Institute of Management Accountants (CIMA), UK and graduated from Kingston University, UK in Accounting and Finance. 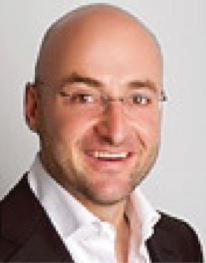 Laurence is the Regional Director, Client Solutions, EMEA for Asiaciti Trust in Dubai, United Arab Emirates. 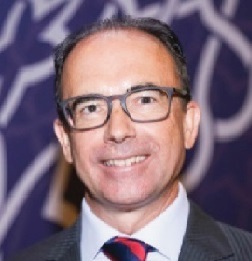 He joined Asiaciti Trust in late 2012 and has over 30 years’ experience in the offshore finance industry. Based in the Middle East for the past 24 years he has particular skills and experience in cross border planning, the establishment of offshore trusts and company formation. Before joining Asiaciti Trust he held a number of senior positions within the Trust & Fiduciary industry and more recently was Head of Fiduciary Services, MENAP for a major international financial institution in the Dubai International Financial Centre. In these roles he successfully serviced clients in the EMEA region with their international needs and worked closely with other cross border specialists in the establishment of international trusts and a variety of investment structures. Laurence maintains a comprehensive knowledge of legislative changes and industry trends affecting cross-border issues. He is a full member of STEP Worldwide (Society of Trust and Estate Planners) and was the founding Chairman of STEP Arabia. Mohammad Marria established Just Wills DMCC 13 years ago after having worked with Just Wills PLC in the UK since its inception there. 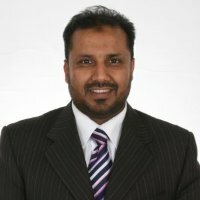 He has a number of diplomas in business studies, computer studies and Islamic banking and has also had training in accounts. He has a professional will writing qualification from the UK from both Just Wills PLC and the Institute of Professional Willwriters (IPW). Mohammad has a wide range of experience in financial services and real estate industry which adds to his wealth of knowledge regarding succession issues. Mohammad has been a key personality in the media in the uae educating people here as to the necessity of drafting a will to protect their assets. He was the first person to suggest the need for an interim guardian and continues to look for new and innovative ways in which to further his business and protect his clients. One of his known projects has been researching into drafting Hiba (lifetime gift) contracts and this has now come to fruition. Wielding his knowledge in the arena of succession planning, his latest assignment is to take one step further by entering key GCC countries like Qatar & Kingdom of Bahrain. 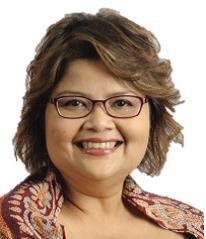 Maya Marissa Malek joined Amanie Advisors Malaysia since 2007 and is one of the pioneers in the firm and the first woman advisor. She is currently the Executive Director for Global Shariah Advisory and Compliance business for the global Amanie Group and the Managing Director of the Amanie Advisors’ global office, based in Dubai. In Shariah advisory, an area where the presence of women is scarce, Maya has gone far in making her mark in the Islamic finance space. She is a specialist in the areas of Islamic finance framework, Shariah governance, structuring, enhancement and conversion exercises, establishment of Islamic financial entities as well as development of Islamic finance policies and standards. She has been instrumental in many innovative and landmark Islamic financial instruments globally as well as active in numerous developmental initiatives for the Islamic finance market. Having the privilege to work closely with many globally renowned Shariah scholars, Maya has learnt valuable knowledge and traits which can only be found from real life experiences and has used this enriching know how to elevate her advisory modus operandi. Her profession in and passion for Islamic finance has taken her around the globe creating awareness on Islamic finance. Markets and areas untapped by Islamic finance are her prime interests, challenging her and her team to innovate and create demand for Islamic finance to take root. Maya comes from a legal background and has more than 18 years’ experience mainly in corporate legal and Islamic finance matters. Maya is active on many fronts globally for initiating new and innovative Islamic finance solutions for the industry as well as empowering women in Islamic finance. She is also a member of the Green Sukuk Working Group in the UAE and a Shariah consultant for the IFC World Bank Group.